Next time you wake up with a kink in your neck, just remember: it could be worse. 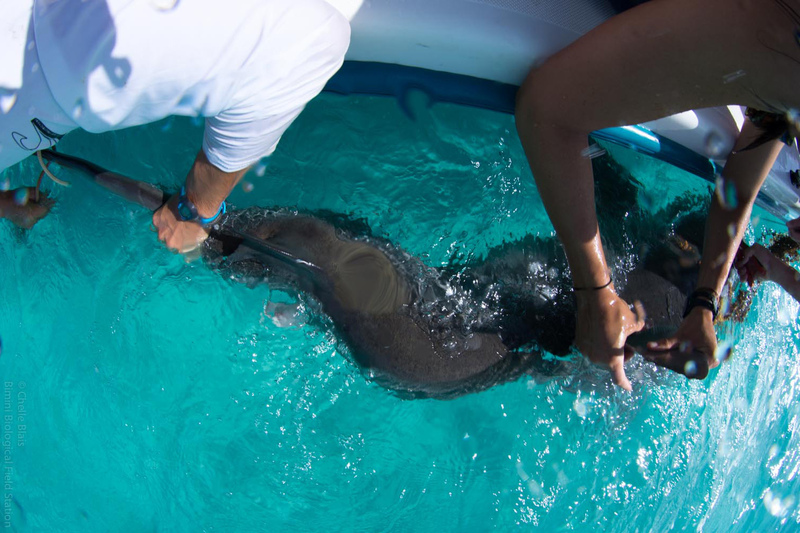 During a routine fieldwork day recently, researchers with the Bimini Shark Lab tagged and released a bull shark with an unusual, Z-shaped spine. The deformity left the shark about two feet (65cm) shorter than an average bull shark, but amazingly, "Quasimodo" (as he's since been nicknamed) appears to be thriving nonetheless. For many species, a deformity of this nature would be a death sentence, but the resilience shown by sharks and their kin in the face of injury is almost unrivalled. Well-known white sharks, "Prop" and "Chopper" are prime examples of the regenerative capabilities of these animals: both individuals were nearly sliced in half by boat propellers, yet they survived their injuries. And they are not the only examples of sharks overcoming the odds. Earlier this year, a lemon shark off the coast of Florida wowed scientists when it ate a "fish stringer" (a looped piece of equipment used by spear-fishermen to hold their catch) and managed to push it through its stomach lining, and ultimately, out through its skin. Over in Hawaii, "Roxy" the tiger shark has learned to hunt with only half a jaw. 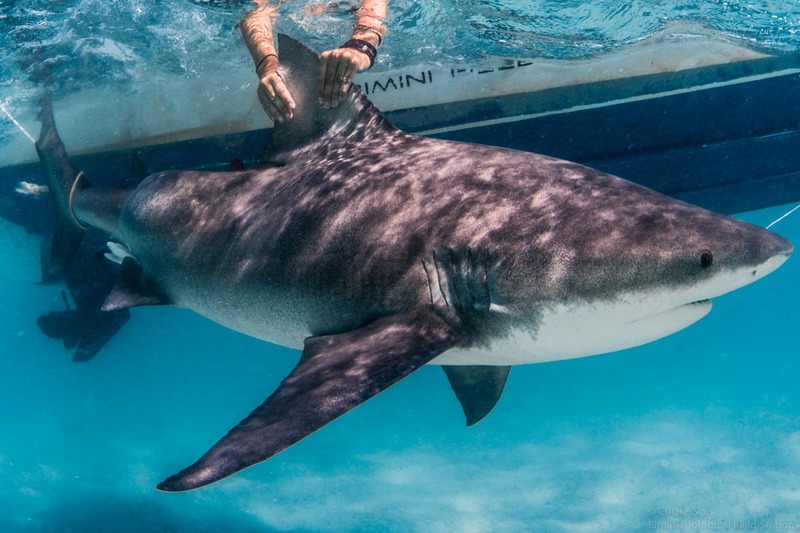 We could easily keep going, but despite so many cases of shark resilience, the Bimini team had never encountered a shark quite like Quasimodo. "We all said a collective ‘woaaah, what! 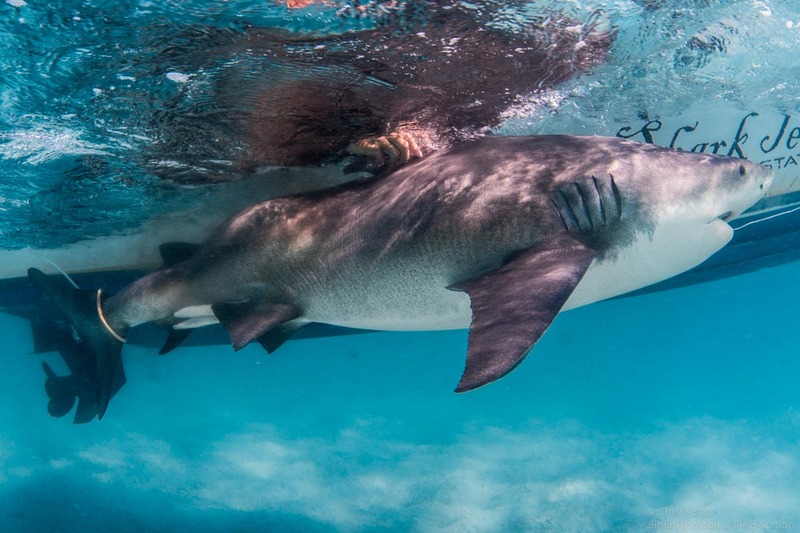 ?’ before starting our workup process," recalls Bimini Biological Field Station (BBFS) media manager Chelle Blais, who photographed the encounter. "Getting the shark alongside the boat happens very quickly, and it wasn’t until we had him secured that we noticed his ‘Z’ shaped body. When I saw the size of him, I was immediately surprised that he could be so enormous and generally healthy looking despite this deformity." The crew moved efficiently through the workup, and mere minutes later, the wonky fish was on its merry way, fitted with an acoustic tag that will hopefully allow BBFS to track his progress over the coming years. Quasimodo swam off "like a champ," but the encounter left Blais and her colleagues wondering just how the animal ended up with its uniquely shaped spine. "We tossed around the idea of a birth defect, or even scoliosis," says Blais. "But we thought it would best to reach out to Dr. Natalie D. Mylniczenko, a veterinarian who has spent time with the Shark Lab before, and ask her opinion." After reviewing the photographs, Mylniczenko presented several possible explanations for the bull shark's strange skeleton. It's possible that a deep abscess, granuloma, or slow-growing cancer is to blame – but Quasimodo's overall state seems to suggest otherwise. If disease were at the root of the deformity, we would expect to see at least some abnormal behaviour. The more likely culprit, according to Mylniczenko, is either a congenital or traumatic incident. In either case, this would have occurred when the shark was very young, and over time, his body would have compensated and healed in a skewed position. Without fully examining him, no one can really be certain what could've caused Quasimodo's body to buckle. We have, however, seen similar injury-related spinal warps before, most recently a giraffe on Africa's Serengeti. Without a vet to intervene, that giraffe's broken neck healed in a similar zig-zag configuration. Is it a bull shark? "Now we have a visual of how he swims and know that he’s still hanging around the shallow waters of Bimini!" they wrote on Facebook. Although more research is still required, it's possible that Quasimodo may have adjusted his diet to cope with his deformity. Typical bull shark fare consists of bony fish, other sharks and rays or marine mammals, but this misshapen individual may supplement his diet with less formidable prey like bottom-dwelling invertebrates. With any luck, the "pings" from his tag will help paint a clearer picture of how this peculiar bull shark uses his habitat. Quasimodo was certainly a first for the team, but it's entirely possible there are other sharks like him. If you've encountered a similar animal, let us know in the comments or by using our contact form! Keep up with future Quasimodo sightings by following the Bimini Shark Lab on Instagram.